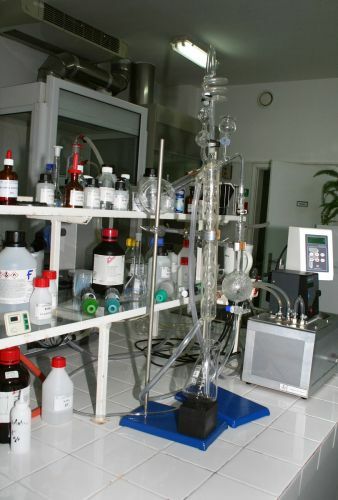 Here are made classic analysis for determining the physical and chemical parameters of cosmetics, essential oils, and domestic chemical detergents. 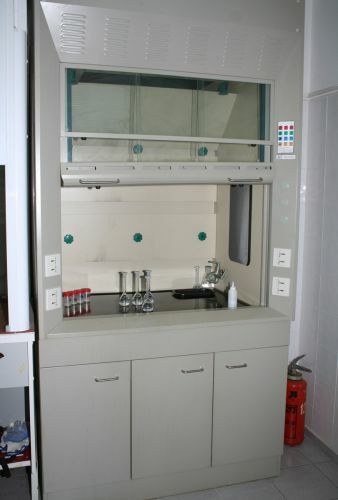 The laboratory is equipped with: refractmeter, analytical and hygrometer scales, pH meters, viscometer, rotary evaporator, polarmeter, spectrophotometer, apparatus of Parnas - Wagner for determining the ammonia, laboratory centrifuge, water baths, muffle furnace; fridges; water distiller; water deionizer; technical and analytical scales, etc. 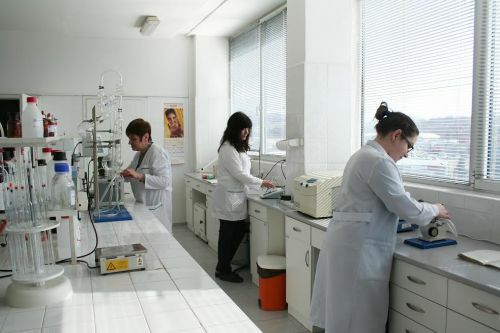 To guarantee the quality of the tests, most of the equipment is calibrated by accredited calibration laboratories.